Home > Washington DC > Rock Creek House Washington, D.C.
Rock Creek House Washington, D.C. 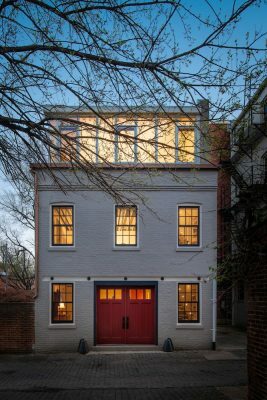 The Rock Creek House is an adaptive re-use project of a 1920’s brick structure that was originally composed of two floors, with a mechanical basement and attic. 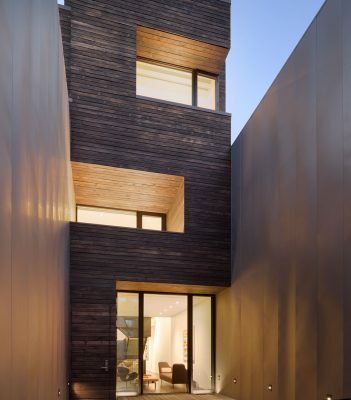 This re-adaption leverages the robustness of the existing structure to capture the attic and basement to double the house’s size, while expanding its functions into the landscape. While the northern street façade remains relatively intact –formal, insular, and composed– the southern exposure to Rock Creek is made more generous. By expanding the areas of glazing and establishing a more precise relationship between rooms and their respective apertures, a new architectural order is established on the south – more informal, open and in dialogue with nature. The perimeter structural wall, composed of brick, is reorganized around a north-south bias to mark the axial transition of formal and closed spaces on the north, to the informal and exposed spaces of the south. 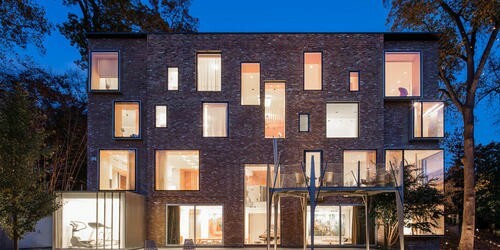 In correspondence to this, internal structural framing runs east-west, connecting the brick party walls, while topped with a cladding of laminated plywood that serves the program of the house, running north-south in tandem with the orientation of the house. 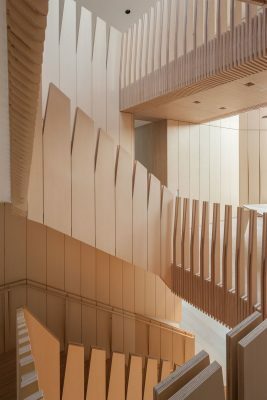 All elements are incorporated into these laminar striations: stairs, closets, seats, window frames, among other components. From a solid facade on the North to a transparent and glazed facade to the south, the tectonics of the house reinforces this transformation. 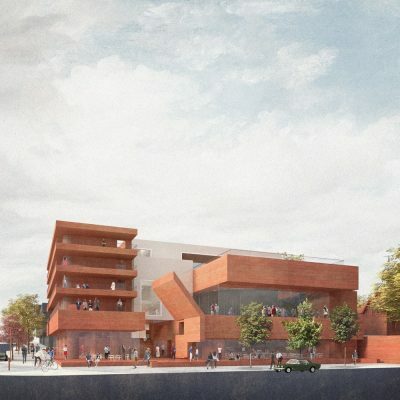 The most salient spatial intervention is the introduction of two multi-height spaces. The first connects the entry level down to the garden level, with a new living room that extends to the southern landscape. 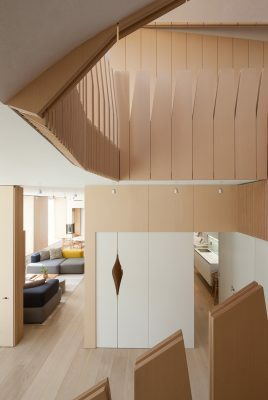 The second vertical space connects the entry up to the former attic, now a play loft capped by a skylight. With these two interventions the once stratified realms of storage, bedrooms, work areas, and living areas become seamlessly intertwined. Coach House in Washington, D.C.